The 485 Stationary Mechanical Wheelchair Scale is American manufactured with a sturdy design. 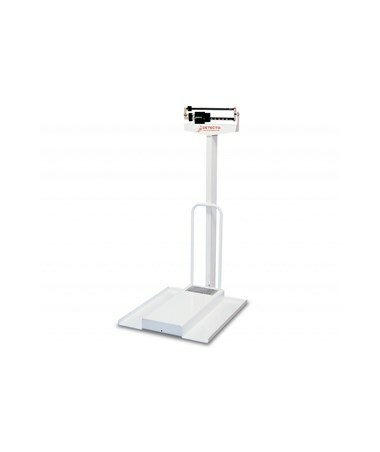 It incorporates a standard eye-level physician scale with a detachable ramp, allowing for easy movement on and off the platform. The scale's beam is easily read from both sides. This scale is a good option for the patient and nursing personnel. Created for ease with wheelchair bound patients and long lasting durability for those working with them. 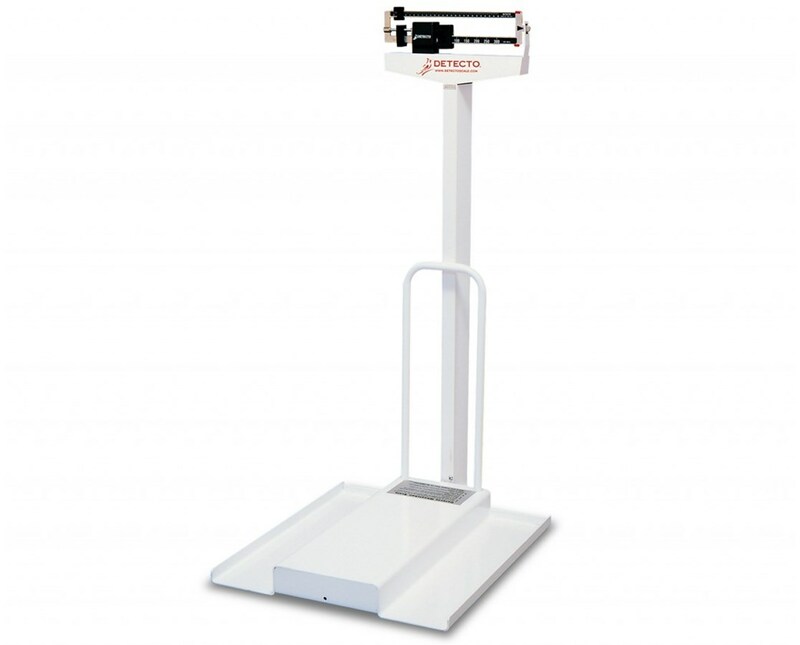 The Stationary Mechanical Wheelchair Scale is available in pound or kilogram units of measurements. Select desired option from the drop-down menu at the top right of the page. Weight Limit 350 lbs. / 160 kg.